Mechanical Dynamics & Analysis (MD&A) completed a carefully coordinated 7FA gas turbine hot gas path inspection, 7FH2 generator inspection and repairs in just 19 days, providing all services, labor, and parts. The customer contracted MD&A to perform the inspection and emergent repairs on a tight schedule. Our industry experts completed the work on time maintaining full customer communication throughout the outage utilizing our on-site project management. For the gas turbine, all combustion and hot gas path components were removed, cleaned, and inspected. All required hardware was provided by MD&A. Our San Antonio Service Center, which is our Gas Turbine Parts Service Facility, refurbished all combustion parts of fuel nozzles, combustion system liners, liner caps, transition pieces, and flow sleeves. The stage 1 nozzle was replaced with a new assembly. The site team replaced both the right and left stage 1 forward wheelspace thermocouple guide tube assemblies. The stage 2 and stage 3 nozzle segments were also replaced. New shroud blocks and new installation hardware were provided for all stages. Moderate fretting was observed that warranted replacement of the exhaust frame flex seals. Simultaneously, MD&A experts removed both turbine-end and collector-end upper half end shields to perform a generator minor inspection consisting of stator and field visual inspections, including in-situ robotic inspections, ELCID, and electrical testing. 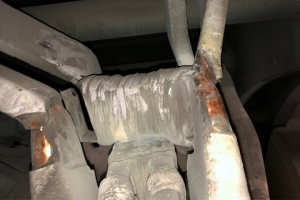 The Generator Specialist immediately recognized that the stator had significant connection ring damage that could have led to catastrophic damage had it continued to operate. 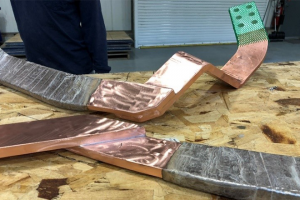 The solution: MD&A expeditiously removed, reverse engineered, and replaced the damaged components with no impact to overall outage schedule (5 days total repair time). Scoring was identified on both the turbine-end and collector-end journals. The lower half bearings had moderate abrasion/scoring. Minor babbit damage was also noted. The turbine-end and collector-end hydrogen gas and air side seals were found in poor condition and replaced. Winders were mobilized to perform numerous tie repairs on each end of the unit and connection ring replacement on the collector end with the rotor still in place. As a result of MD&A’s impact testing and modal analysis, additional blocking and ties were made on the connection rings to ensure the unit will not see this type of problem again. At project conclusion, comprehensive reports were provided listing each step of the process and its engineering rationale, along with detailed analysis and long-term predictions and recommendations. MD&A site and shop repair teams worked closely together to deliver first class service. MD&A’s provides a one-stop shop solution for turbine & generator services, parts, and repairs. 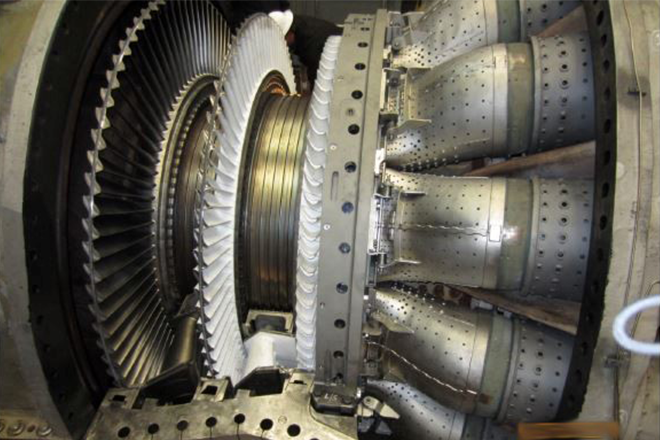 Call our MD&A Gas Turbine Services today at (518) 399-3616 or use our Contact form.